Grand Daisy Press, 9780984860807, 131pp. 2012 UP Author Award Runner Up for Best First Chapter & Best Cover Ten-year-old Nathan Rockledge cannot catch a break. After all, life as a fourth-grader can be hazardous - what with science projects to deal with and recess football games to avoid. Everyone, including his best friend Tommy, seems to have bad luck when hanging around Nathan. Throw in an older sister who is a royal pain, a dad who is stuck in the past, and a mom who keeps trying to poison him with her awful cooking, and poor Nathan's life as a fourth-grader appears to be completely doomed. 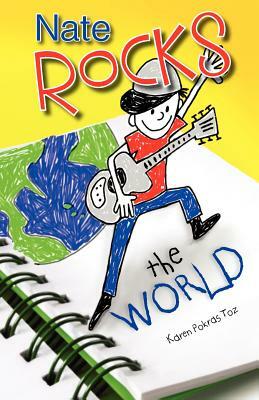 Armed only with his sketchpad, his imagination, and his wits, Nathan Rockledge navigates the perils of the fourth grade in style, to emerge heroic, as Nate Rocks, proving that even a ten-year-old can accomplish great things.